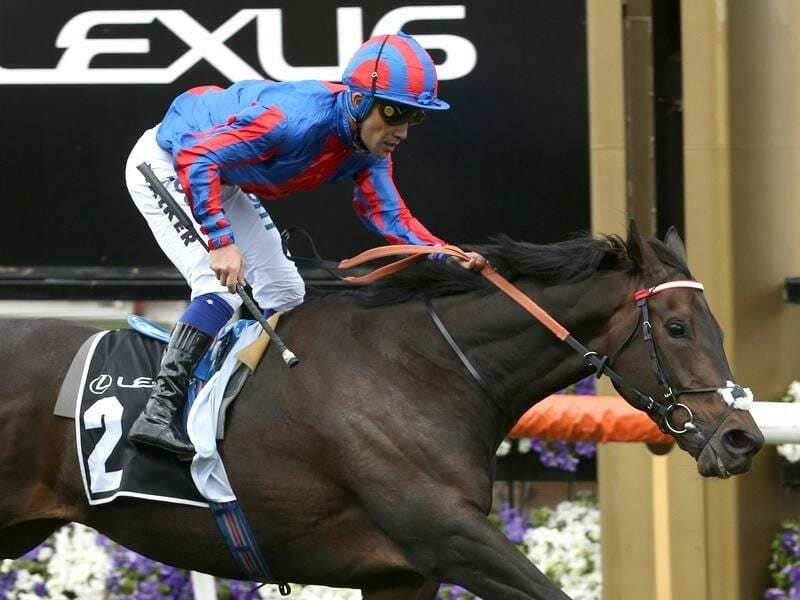 A Prince Of Arran has forced his way into the Melbourne Cup after winning the Lexus Stakes. English stayer A Prince Of Arran has won his way into the Melbourne Cup with a stirring victory in the Lexus Stakes at Flemington. The Chris Waller-trained 4.20 favourite Brimham Rocks had to be re-plated but even with a new shoe fell half a length short of A Prince Of Arran ($4.40) and missed a Cup start while recording his fourth consecutive second. “That’s the biggest win of my career to date. “It’s the first Group win of my career,” he said. “To win at a massive day like today it’s huge. A Prince Of Arran was ridden by Michael Walker who will ride him at 53kg on Tuesday with handicapper Greg Carpenter deciding not to penalise the horse for the win. “I hit the front too early but nothing was taking me into the race, and in these staying races, these European horses keep going,” Walker said. Fellowes said the pre-race delay was nerve-wracking. “It was painful,” he said. “If you told me that we would be stood here back in January before we went to Dubai I would have laughed at you. “He’s always been the apple of my eye because he’s a very good looking horse. He was very quirky as a young horse and I always worried that he wouldn’t actually fulfil his potential. Waller was naturally disappointed Brimham Rocks did not manage the win after being held up at the top of the straight. “I am allowed to say I’m disappointed. Obviously being a part of the big race on Tuesday would’ve been very special, and if he won today he gets in it,” he said.